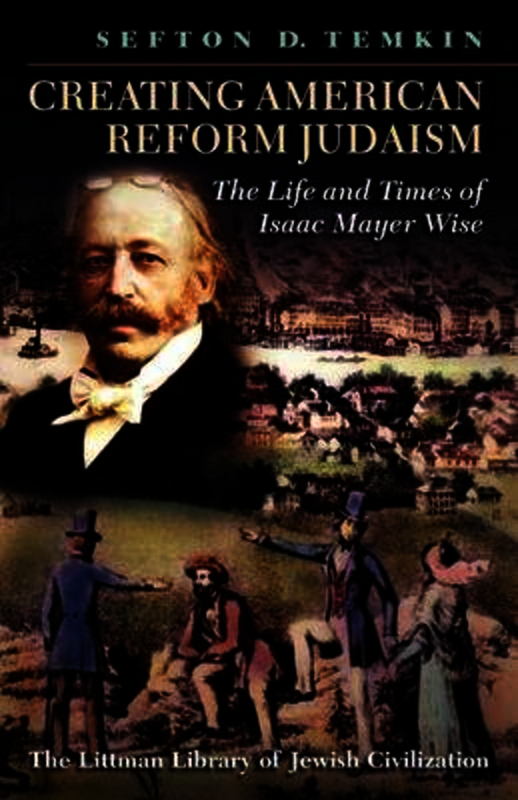 Isaac Mayer Wise (1819–1900), founder of the major institutions of Reform Judaism in America, was a man of his time—a pioneer in a pioneer’s world. When he came to America from his childhood Bohemia in 1846, he found fewer than 50,000 Jews and only two ordained rabbis. With his sense of mission and tireless energy, he set himself to tailoring the vehicle of Reform Judaism to meet the needs of the growing Jewish community. Wise strove for unity among American Jews, and for a college to train rabbis to serve them. The establishment of Hebrew Union College (1875) was the crowning achievement of his life. His quest for unity also led him to draw up an American Jewish prayer-book, Minhag America, to found the Central Conference of American Rabbis, and to edit two weeklies; their editorials, breathing fire and energy, were no less important in his quest for leadership. Here as elsewhere, it was his persistence that won him the war where his impetuosity lost him many battles. Professor Temkin’s writing captures the vigour of Wise’s personality and the politics and concerns of contemporary Jewish life and leadership in America. Based primarily on material in the American Jewish Archives of the Hebrew Union College, this biography is a lively portrait of a rabbi whose singular efforts in many fields made him a pivotal figure in the naturalization of the Jew and Judaism in the New World. The book was first published in hardback in 1992 under the title Isaac Mayer Wise: Shaping American Judaism. Sefton D. Temkin was Emeritus Professor of Jewish History at the State University of New York at Albany. He died in 1996.